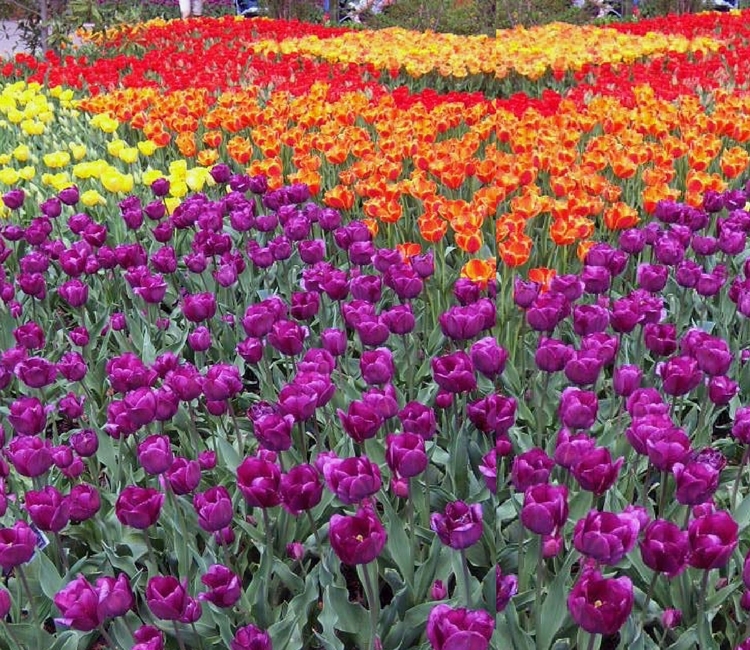 Ohio might not be the first place you think of when planning a Spring Break trip, but there are actually a plethora of must-do spring activities in Cincinnati. 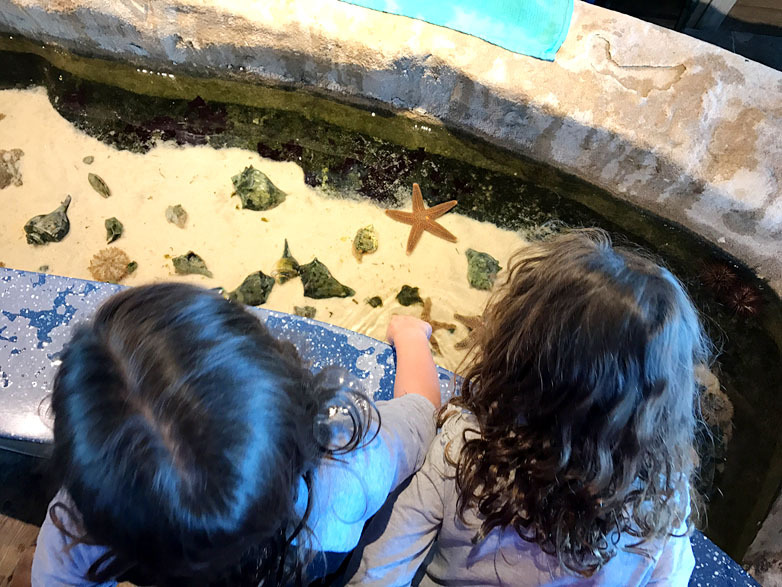 Whether you’ll be in town visiting or are local and looking for something to do, Wayfinding TravelingMom Jennifer Kaufman shares some of the most family-friendly options to look forward to this year. I’ve spent almost my entire life in Cincinnati, and I have to admit, there are plenty of days I wish “home” was just about anywhere else. For the past few years though, I have made an intentional effort to get to know this city of mine. Cincinnati continues to surprise me as it ranks high on lists of most livable cities, best cities for startups, great places for families to visit, and the like. Every year as the weather changes and winter blues brighten, I find it easier to brag on The Queen City. 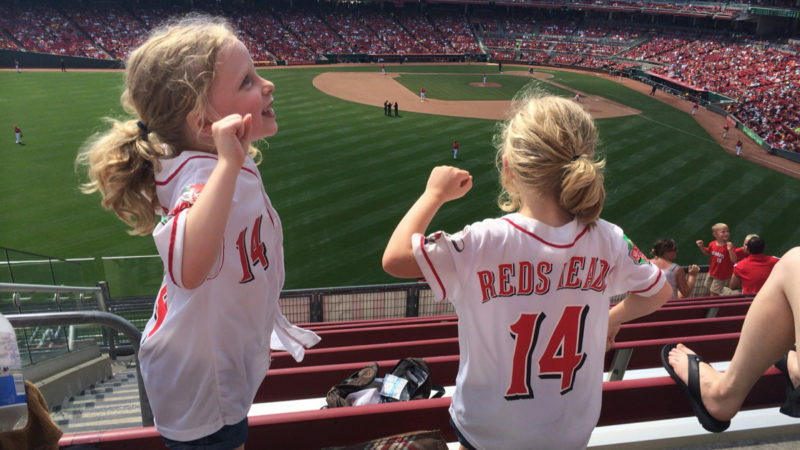 There is plenty to do year-round, but spring brings a lot of special activities to the Cincinnati area. The Cincinnati Zoo has a number of great events year-round. It always tops any list I make about this city. It just so happens that some of our favorites happen in the spring. As soon as the tulips begin to wither, April turns to May and the Cincinnati Zoo celebrates Zoo Babies. Zoo Babies has always been my daughters’ favorite time to visit. This year, we’ve been following along with and rooting for baby Fiona, a hippo born six weeks early. Visitors can also see Malayan Tiger cubs, two infant Masai giraffes, and a newborn Colobus Monkey. As the home of the first professional baseball team in the country, Cincinnati celebrates Opening Day like a major holiday. Tickets to the game are difficult to get, but most of the festivities are free and open to the public. And, goodness, does the public show up. The energy throughout the city is truly contagious that entire day. After you’ve celebrated Opening Day from outside the stadium, grab tickets to a game later in Opening Week. 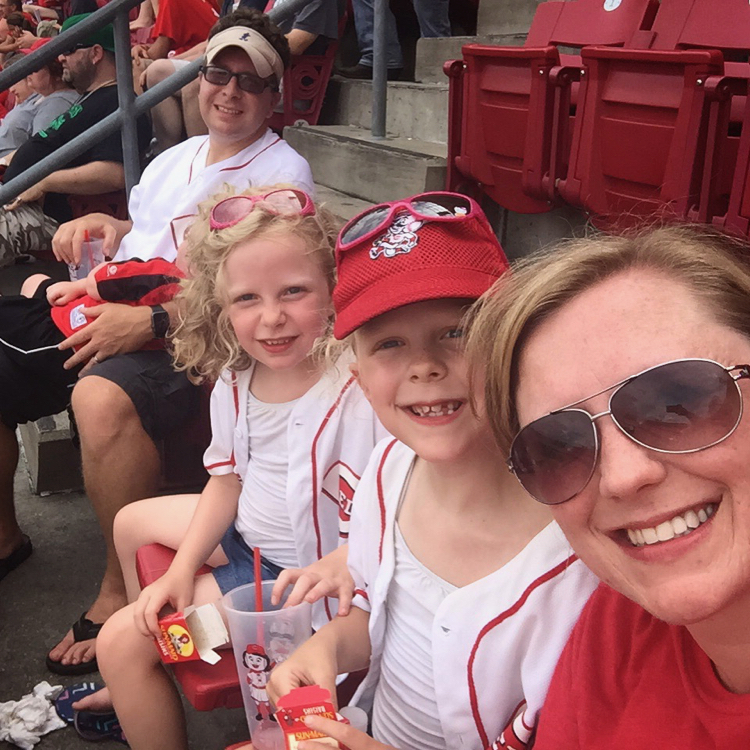 They’re much easier to score, and Great American Ballpark is a great place for families to experience a Major League Baseball game. 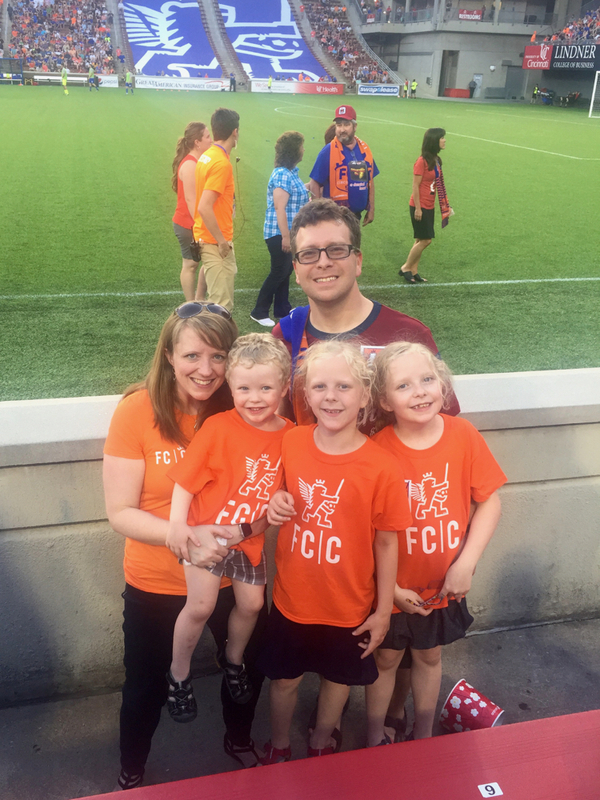 My kids enjoy going to baseball games, but they actually prefer the electric atmosphere at an FC Cincinnati soccer match. Last year, the team made it to the playoffs in its inaugural season, broke several attendance records for the state and the league at large, and gained the attention of Major League Soccer. More than that though, attending a match is just a ton of fun. We usually play in the Kids Zone before the games start, and sit close to the field so we can be right next to the action. The 2017 season kicks off April 15. As a child, I remember going on several occasions to visit my grandpa at work. I enjoyed his factory, but the real star of every visit was this endearing restaurant across the street. The Root Beer Stand opened in 1957, and continues to be a local favorite. The carhops and nickel floats have been gone for decades, but the original root beer recipe (made on the same equipment as the year it opened! ), chilled glass mugs, and chili cheese footlongs are here to stay. Just like when I was a kid and wanted to stay long after lunch was finished, guests will still find toys and water games to play while they wait, and a collection of hats left behind that each tells a story. The Root Beer Stand opens for the spring and summer on March 20, 2017. The Krohn Conservatory is beautiful year-round, but it is never as inviting for families as it is in the spring. 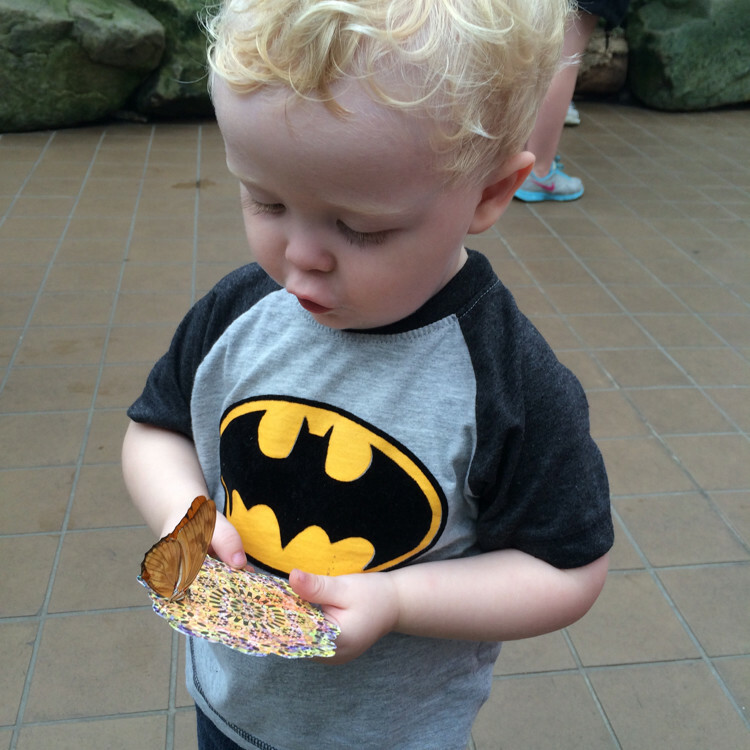 Each year, the Krohn hosts its annual butterfly show. Visitors can spend time in the conservatory with approximately 85 different species of free-flying butterflies from around the world. The theme this year is The Majestic Monarch. Guests can follow along with Mona the Monarch as she travels across North America. From the Cincinnati Parks, “Experience what it’s like to be a butterfly surrounded by towering fir trees, giant flowers, and islands of color as you fly by beautiful hydrangeas, marvelous marigolds, and gorgeous celosia.” This sounds like the most entertaining and educational theme I’ve experienced in previous years. The butterfly show will run March 25-June 18, 2017. My kids surprise me every time we visit. They fluctuate without much rhyme or reason between wanting to “catch” as many butterflies as possible, and being freaked out that one might land on them. My opinion never changes, though: this is one of my favorite spring activities in Cincinnati, every year. 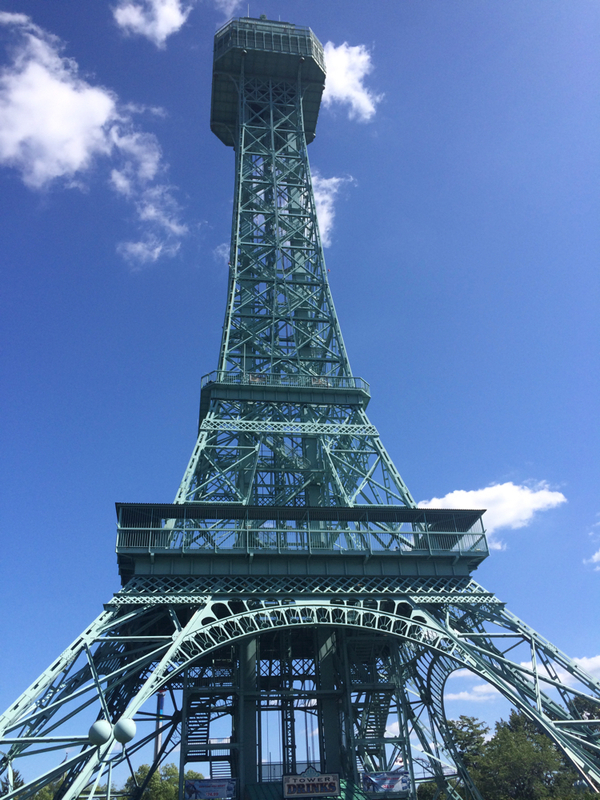 Cincinnati’s Kings Island, an amusement park with a world-class kids area, is open seasonally in spring and summer. 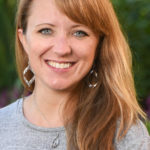 Photo Credit: Jennifer Kaufman, Wayfinding TravelingMom. Kings Island is the largest amusement and waterpark in the Midwest. The kids’ area has won 16 consecutive awards as the Best Kids Area in the World. We’ve spent countless hours riding the rides, enjoying blue ice cream, and trying to spot our house from the Eiffel Tower. We’re counting the days until the park opens for the season on April 15. Winters in Ohio can be drab and cold, but the city really shines when the sun starts shining again. 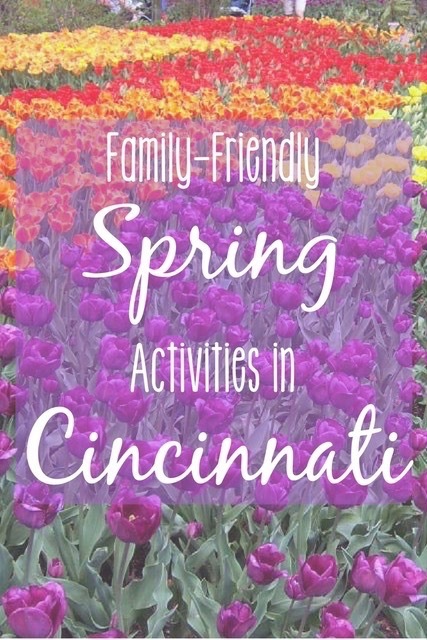 We can’t wait to revisit each of these spring activities in Cincinnati this year! What is the first thing you look forward to doing when it begins to feel like spring?